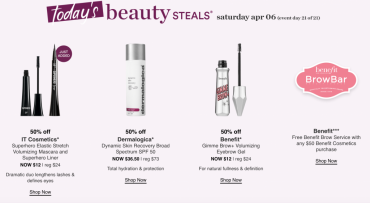 Ulta 21 Days of Beauty Day 21: Save 50% Off IT Cosmetics, Dermalogica, & Benefit! Ulta 21 Days of Beauty: Save 50% Off Too Faced Bronzers, Vitamin C Serum, Mac Primer, Strivectin! Ulta 21 Days Of Beauty Event! 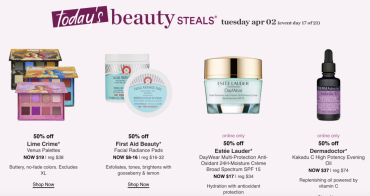 Save 50% Off Estee Lauder, Dermadoctor, Lime Crime & First Aid Beauty! 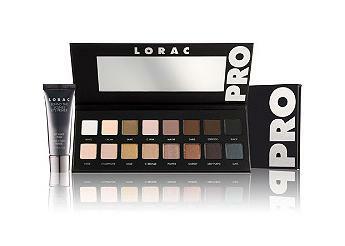 LORAC PRO Palette – Only $26! 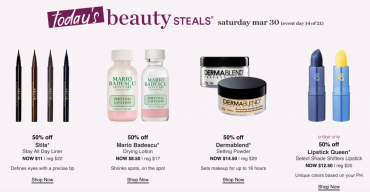 Ulta 21 Days Of Beauty: 50% Off Stila, Mario Badescu, Dermablend & Lipstick Queen Today Only! Ulta 21 Days of Beauty! Save 50% On Buxom, Philosophy, Clinique and Dermadoctor Today Only! 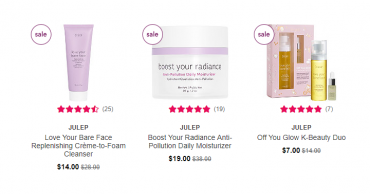 ULTA: Julep Brand Beauty Products 50% off! ULTA 21 Days Of Beauty Steals! 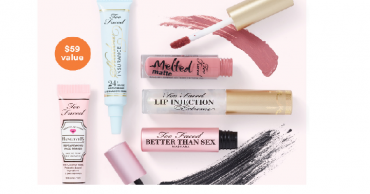 50% Off Bare Minerals, Dermablend & More Today Only!